Some vineyard plots receiving extraordinary conditions, such as soil and micro-climate that favors cultivation of specific types of vines. Grapes obtained in these vineyards are of high quality and generate exceptional wines.Wines La Catina and short of the 2008 harvest, are launched under the concept of "real life" ("single vineyard") and come from vineyards Domains Dealu Halewood-Mare where small areas have been identified with specific conditions that give wines a typical variety expressed and which we are sure will pleasantly impressed.La Catina and Short are well structured wine, young, but very well balanced in terms of smell and taste. Grapes in 2008 were of very good quality, from the production of Halewood Estates, part of Halewood Romania.La Catina Single Vineyard - Pinot Noir 2008 wine balanced, harmonious, fresh flavors of berries. "La Catina" is one of the best vineyard areas in Dealu Mare, flanked by shrubs fragrant underbrush and cherry.Short life, hence this Chardonnay Viognier 2008 is a complex located in a privileged place on the sunny slopes of Dealu Mare Vineyards at the foot of the Carpathian Mountains, at an altitude of about 150 meters. 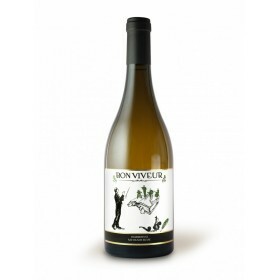 The wine is distinguished by complexity and freshness with aromas of tropical fruit. The two varieties were vinified separately. For both maceration-tape was made at a temperature of 12oC (15 hours and 24 hours Viognier Tamaioasa Romanian).